Prepaid Services – It is a simple style service for people who make trips to Japan on a regular basis and it is an easy and simple way to stay connected. 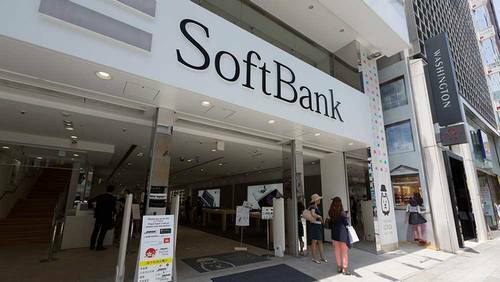 SoftBank is a multinational company founded in the year 1981 and has it’s headquartered base in Tokyo in Japan. A company yields best revenues when it is run competently and employees are an important part of any organisation as they are the bridge between consumers and company. The company has 69,154 employees that help in the successful handling of customers. Its distribution policy is also very intricate and organised. It consists of dealers and retail showrooms. Shareablee is an important app of SoftBank and is a competitive platform of social data that helps in tracking 30,000 brands on the daily basis so as to provide insight into marketing growth and performance. Pricing strategy is a vital part of every organisation and it is important to create a positive and realistic strategy that will help the company in earning greater revenues but not at the cost of consumers. SoftBank has opted for value-added pricing policies as they provide its customers best offers and options against minimum charges. Its pricing policy is also dependent on its competitors as they are unable to charge more than them in case they lose their customer support. Softbank is a financial owner who has created an effective pricing policy that will take the company forward by yielding maximum revenues. SoftBank has adopted a high-profile marketing strategy as it recognises the value of advertisement for its products. It has offered its customers lucrative deals and discounts that have helped the company in roping new clients as well as maintaining its earlier client base. Its advertisements are highlighting its latest offers like usage of iPhone and iPad will result in special offers and they are time-based so that deals are cracked quickly. SoftBank provides free access to its Wi-Fi in numerous restaurants, cafes and train stations. Its network location is continuously expanding so that maximum people can reach towards it. Most of the consumer products of SoftBank come with a user manual that helps in guiding a consumer through any difficulties. Advertisement policy is focussed on its commercials which are telecast on television, hoardings and online sites. As part of its marketing policy company offers its employees baby bonus for children.